Graham and I were having a bit of a dialogue over the weekend about what hot apps were going to come out of SXSW this year. He’s there on the ground, and I was hoping he’d unearthed an Indiana Jones-sized cache of sweet new apps. 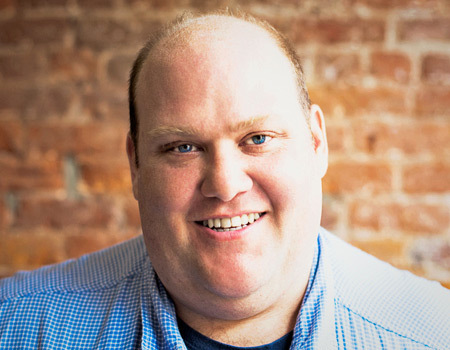 When he texted back from parts unknown in Austin, Texas, “Not really anything,” and then promptly followed that up with—only somewhat joking—“I think people are over apps,” I was a little surprised. His note was, as many of his SXSW texts are, deliberately absurd. 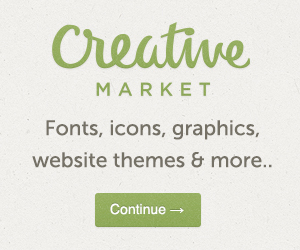 Of course, people still want apps, but today the bar is set increasingly high, and the buzz in Austin is even higher. Add to this the stat buzzing around on social that 80% of apps are deleted after just a single use. That pressure on the interactive festival, now in its 20th year, has diverted focus into spending more time on new buzzier trends like wearable technology. 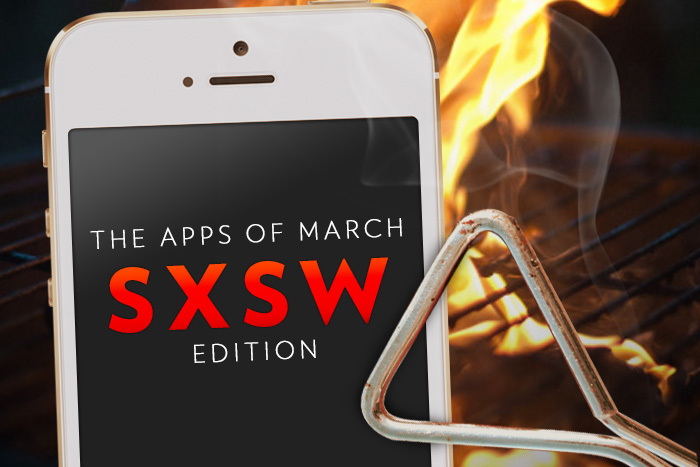 It’s not that there are no great apps, it’s just that SXSW isn’t the prime launching pad it once was. Even Flickr cofounder Caterina Fake chose to skip the festival and launch her new creation, the local/social discovery app, Findery, just before SXSW last week. The darling of Silicon Valley’s gossip hounds already, has probably garnered the biggest amount of buzz at this year’s SXSW. Think Gawker meets Facebook with anonymity fueling speculation, stories, and rumors. 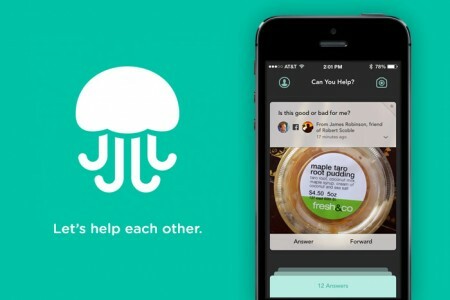 And with 40 days of service under their belt, Secret is aiming to do a quick SXSW victory lap. So much so that they released a slick web-based aggregator of any Secret notes from around the conference. 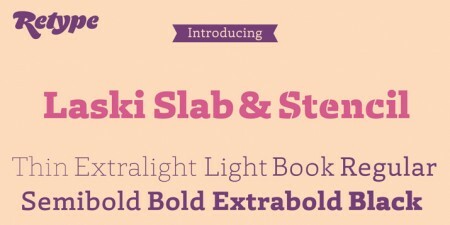 It’s a novel approach that the company thinks will give it an edge. If there is a wider theme of SXSW 2014 it is privacy. 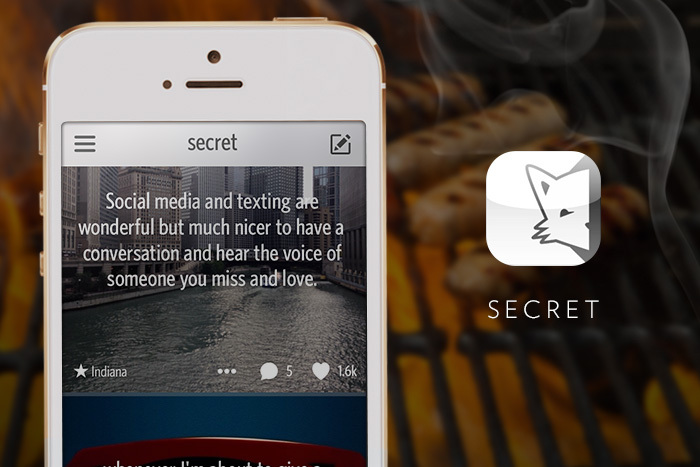 It makes sense that joining Secret is another way to chat privately. Omlet, created by a Stanford Professor and some of her PhD students, is similar to WhatsApp, but gives users a choice in how their data is stored, controlled, and ultimately even monetized. Omlet also seems to have hatched fully formed with a little more of a fun brand identity attached that could be equally at home as a breakfast food truck or cute boutique. 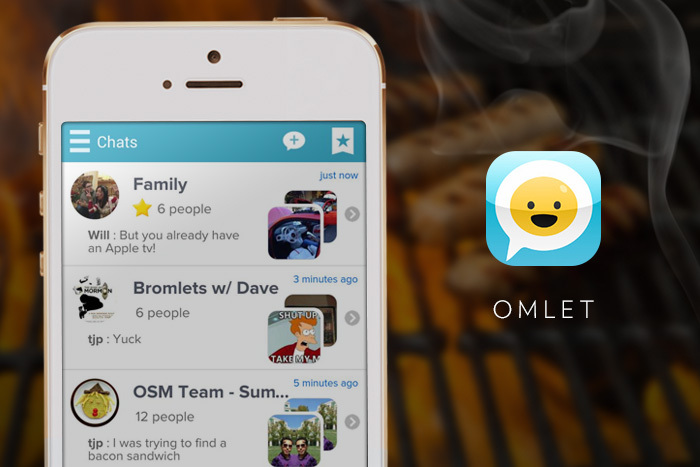 Omlet is the first open chat platform that lets users own and manage their data,” Lam told TechCrunch. 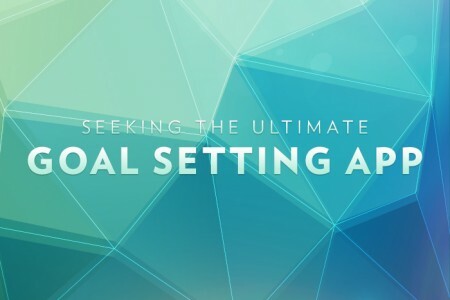 “In a time when users are becoming more aware of the dangers of closed networks that monetize their data, Omlet has created the first open chat platform that gives users the ability to save and manage their data in any way they choose. This is a simple, SXSW specific web based app that uses Four Square data to show you places for drinks and food, where you won’t have to line up, or see masses of people. 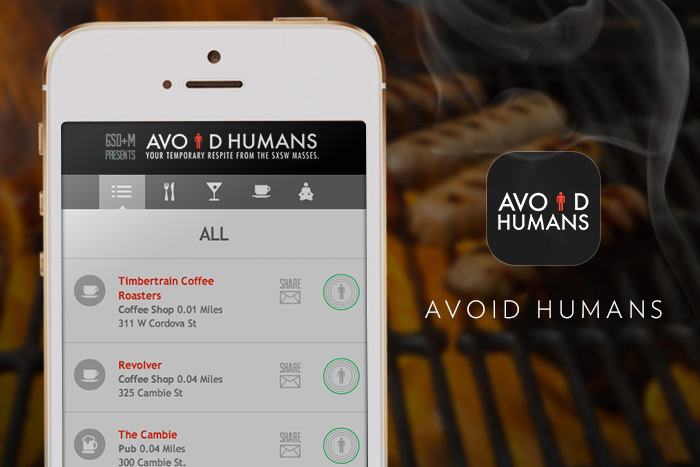 Created by Austin local agency GSD+M, Avoid Humans is again, another deliberately anti-social network tool. Now it’s clearly mostly for fun, but there’s certainly a time and a place for wanting to avoid the crowds and not just for Austin either. 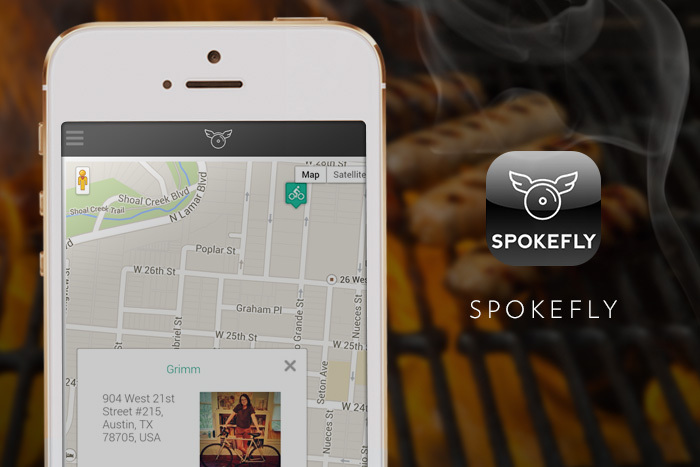 Another app that caught a little wave of buzz was Spokefly. And not just from a technology perspective, they had a special trial for SXSW in the horrendously overcrowded and hard to get around Austin. 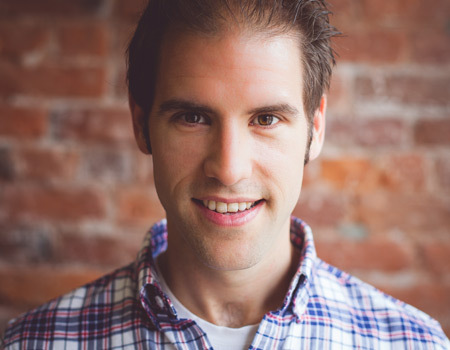 In short, it’s like AirBnB or Car2Go, but for bikes. A simple, nicely designed experience and app—that has the slickness of UBER, with the quirkiness of what you’d expect from a bike-share. And finally there is the smelliest alarm clock in the world. 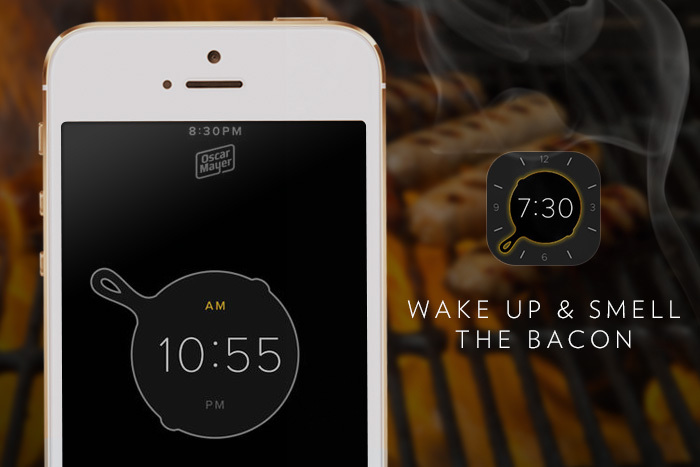 Now, if you had told us that there would ever be a slickly designed app for Oscar Meyer that would create real smells of bacon to aid in the waking up process, we would have told you to have another shot of Mezcal or some more BBQ. Now technically not really part of SXSW, as parent company Kraft was spending more of its’ time on 3D printing Oreos, the new app got immediate traction. Like Findery, it was strategically released in the press for the same journalists pre-SXSW. Oh, and it makes your morning smell of bacon. Are we ready for some Jelly?